The winter season is known for its snowy weather, sparse landscape, and the busy holiday season. Some people find the season to be pleasantly crisp and peaceful, while others might feel a bit glum and chilled. 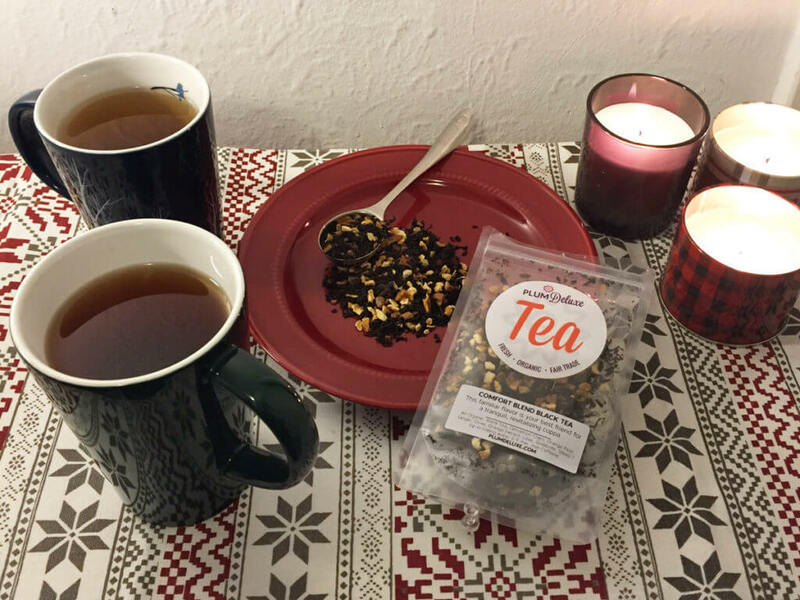 The good news is that we have found the best tea for winter to warm up, heal up, and cheer up this season. Ginger tea was one of the herbal teas that got me started exploring the wide world of tea. The recipe is super simple: peel and chop fresh ginger root into one-inch pieces and boil in hot water until the brew reaches your desired flavor strength. My family would brew big batches of this tea and fill up a couple of thermoses to bring with us out into the snow for winter bonfires. The ginger root has a distinctive hot, spicy bite that warms you up from the inside out, with an herbal-sweet, lemony undertone. I love my ginger extra spicy, but if this brew gets too heated for your tastes, it pairs well with a dollop of sweet honey. I can’t always have that much fresh ginger laying around, so I keep a dried ginger tea like the Rejuvenation blend in my cupboard year-round. The best tea for winter might be a hibiscus blend. Dark red hibiscus blossoms brew up into rich magenta tea with a sweet-sour fruity tang. Brewed warm, hibiscus tea has bright citrus and red-berry notes like a cranberry Christmas punch, or warm mulled wine. 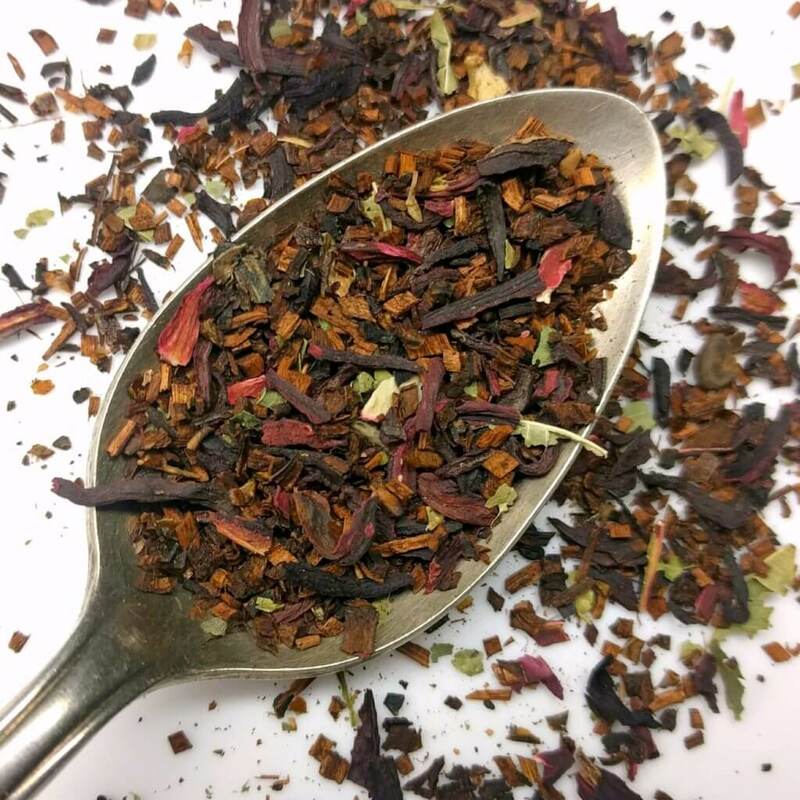 Check out the Happy Hour hibiscus herbal blend or cranberry/hibiscus combination in the Holiday Embrace herbal chai to try the flavors for yourself. If hot hibiscus tea isn’t your thing, there are lots of delicious ways to brew iced hibiscus tea instead, like in a batch of sangria. Whether you’re feeling under the weather or just need an emotional pick-me-up, a hot toddy can be a great way to bring some comfort and warmth. 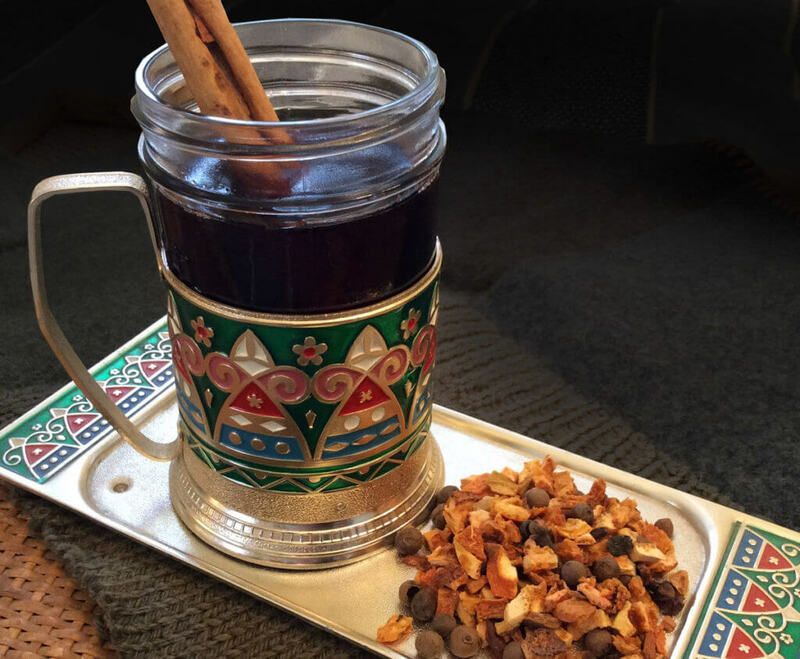 Traditionally brewed with something hot (tea, infusion, or water), a choice of alcohol, and mulling spices, the combinations of flavors are almost endless. 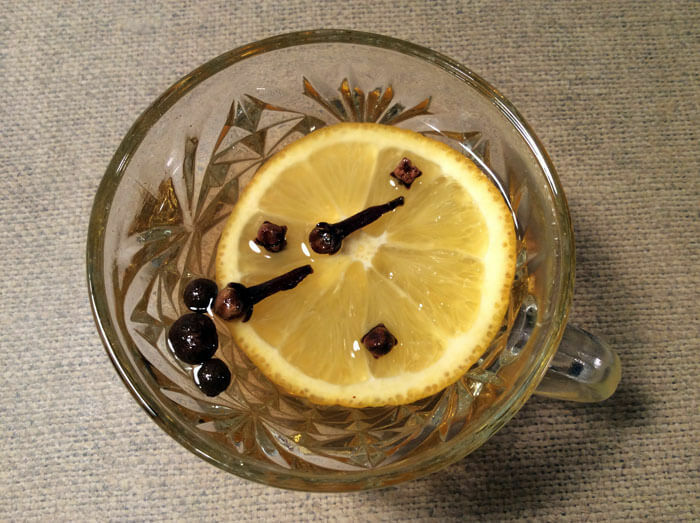 Get a crash course in making a hot toddy here. If you don’t drink alcohol, you can still brew up a special cup of spiced tea with a loose leaf tea of your choosing, a dash of lemon juice, honey, and mulling spices, served hot and strong. I prefer to make a hot toddy with a tea that has some citrus and spice already mixed in the loose leaf, like the spicy, orange Comfort Blend or sweet and spicy Rainy Day Puerh. To bring the sweet holiday citrus and spice flavor to the forefront, you can even serve the tea with a slice of juicy orange and a whole cinnamon stick. What are soup teas? Sometimes called sipping broth, these are savory blends of herbs and spices that you brew like a cup of tea. Whether in a teabag or like loose leaf, you’re just a cup of hot water away from warm, spicy flavor. Busy people who are on their feet all day for work have recommended this beverage/snack hybrid for those days when you can’t get more than one hand free for lunch. If you can’t find any soup teas at a store near you, give these warm winter soups a try in the meantime. The winter season also means New Year’s Eve and New Year’s resolutions. 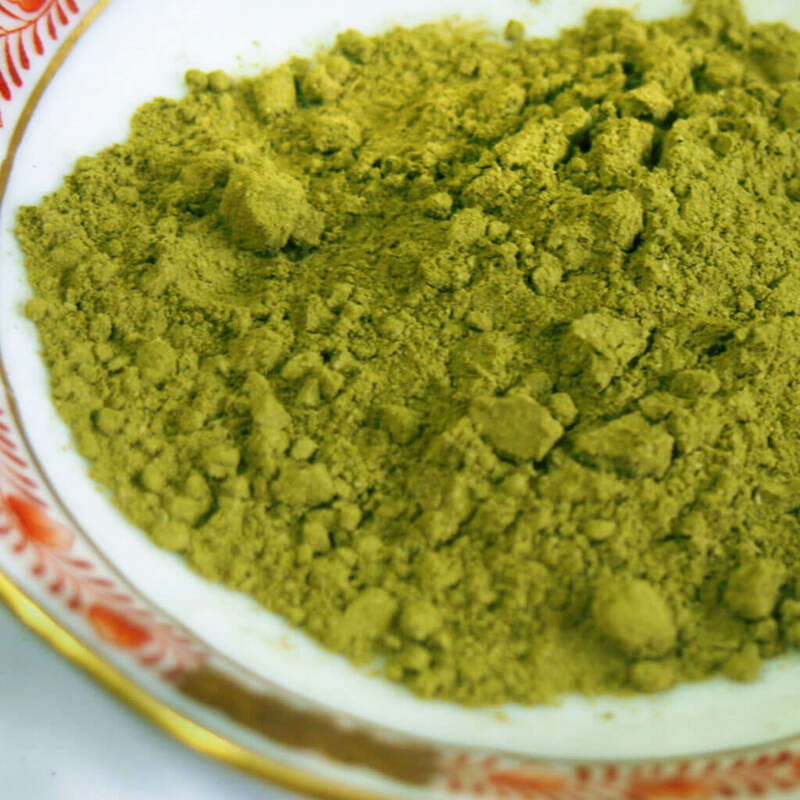 If you’re trying to be healthier in the new year, the best tea for winter might be green tea. If you’re cutting coffee but still need a caffeine kick in the pants, be sure to order some matcha. Hot, iced, straight, in a latte, or in your uber-healthy new fruit and green smoothie, matcha might just be your new best friend and the best tea for winter. Not to mention, you’ll get a healthy boost of antioxidants as well. 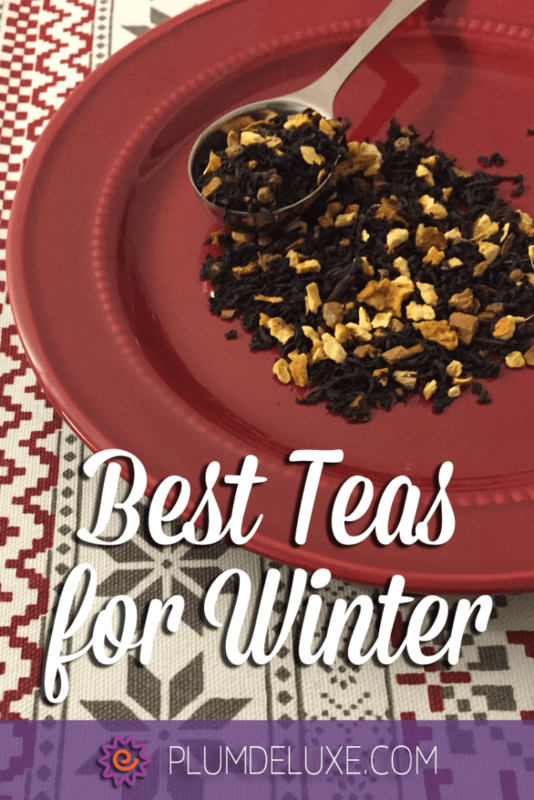 If you need some other ideas for winter drinks, check out these recommendations from other tea-fanatics at Plum Deluxe. Whatever you choose to brew up in your mug, be sure to find some warmth, peace, and spice this winter season.